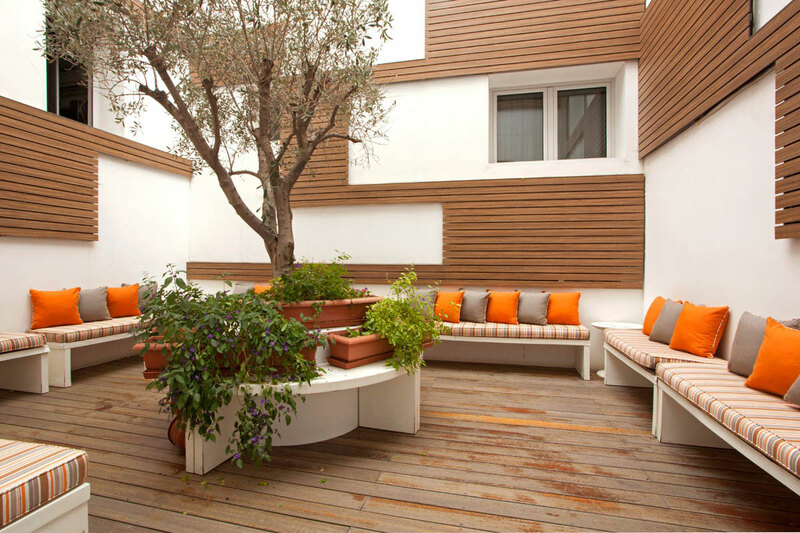 The Olive Tree Secluded Courtyard is an enclosed garden within the hotel. It is the perfect area to escape and relax. The seating area of the garden has been arranged in such a way, that the Olive Tree stands tall in the center of it, while guests surrounding it can enjoy its calming vibes. The Olive Tree has been in the same spot since 1957 when the hotel used to only be a house. When the hotel was being constructed and later on refurbished, instructions and precautions were given to not harm The Olive Tree. Till today it remains strong, soothing your mind and spirit anytime of the day.